Posted on December 29, 2007 by MASA. Most people can agree that Xbox Live wasn’t what it should for the last few weeks. That is, down and/or crappy networking where people and gaming sessions would get randomly booted. I noticed that yesterday I couldn’t play a whole map without serious lagging and then a session ended message. The host then tried to make another game, but with the same issues. Posted on November 13, 2007 by MASA. Microsoft announced that they will be doing something that the Wii has been doing for a long time, only it’s for a game system within the last few years. Simply put, Microsoft is putting full downloadable Xbox games on the Xbox Live Marketplace (Xbox 1 not Xbox 360 games). The plan, which will be enacted early December (the 4th to be exact), will allow games published by Microsoft to be purchasable (for about $15 dollars each [cheap!] or about 1200 points) over the internet where they can be downloaded onto the console. This plan could be seen as a way for Microsoft to get more money on those bigger (120GB) hard-drives. The price may go up (or down) soon on those babies. From what we know, Fable, Indigo Prophecy, Crimson Skies: High Road To Revenge, Crash Bandicoot: The Wrath Of Cortex, Burnout 3, and the original Halo will be launch titles in this new service. The fall update for the Xbox 360 is supposed to unlock this feature. Categories: Gaming, PS2, PS3, Xbox, Xbox360. This post was supposed to go up yesterday, but due a communication error it never appeared. Sorry for the confusion and delay. 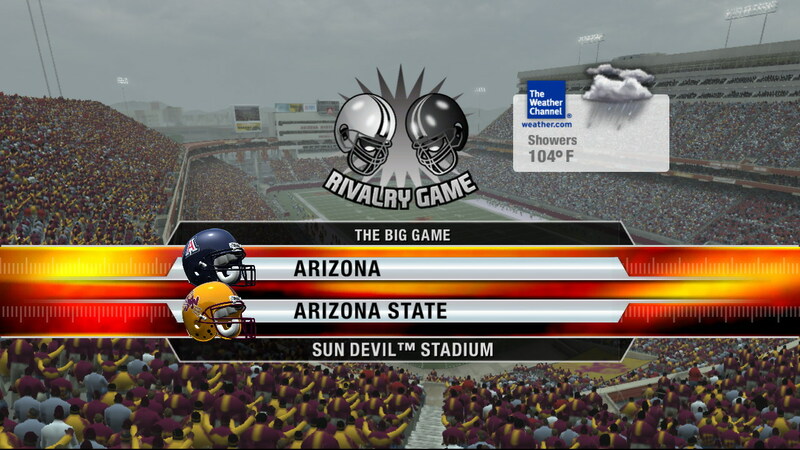 EA announced yesterday that NCAA 08 Football can use real-time/world weather stats from The Weather Channel to determine the kind of weather that will be used on the field. So if there is a huge snow storm in NYC, you can go check out how the footballers would play under these conditions. 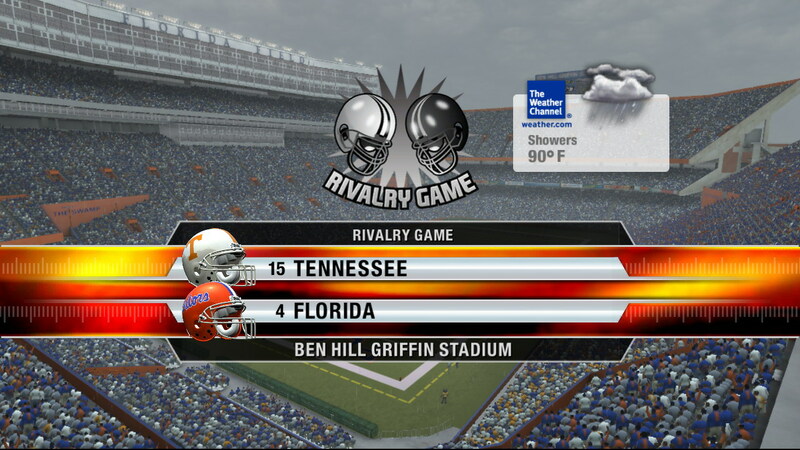 This feature allows games to be played in rainstorms, intense wind or just on a good old sunny day. This feature can be turned off, but I really can’t see why you would want to. The option to choose live-time weather is only enabled when the user is online (not necessarily playing online though). EA didn’t specifically mention if all copies of the game have this feature but we would assume so. Should make the game much more realistic. I wonder what happens when you play during a hurricane..hm.. The weather doesn’t seem to affect the fans, just the players it seems. 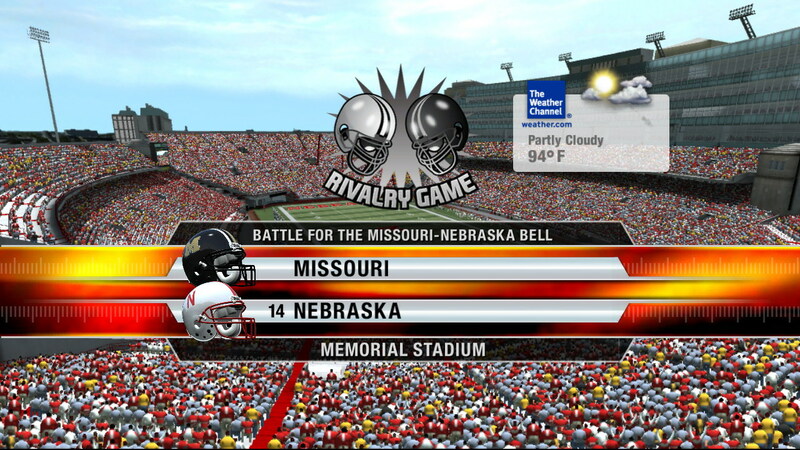 NCAA 08 Football is currently in stores for the Xbox, Xbox 360, PS2 and PS3 consoles.